How did you pick your summer program and the courses you wanted to study? I choose Brown because I wanted to see the east coast and check out a more traditional Ivy League school. I also wanted to experience a liberal arts environment. I choose to study physiology because I run and play basketball. I really liked the course and now I'm currently taking physiology in high school as one of my core classes. What was your favorite experience during your summer program? 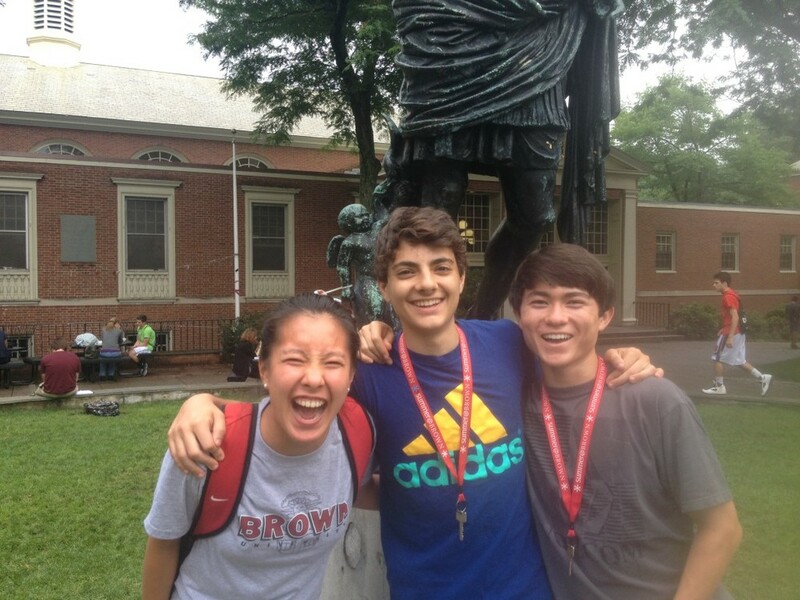 I expected some diversity at Brown, but I never realized exactly how diverse it was. On my first day the instructors asked where everyone was from and I was the only one in my class that attended public high school. My favorite experience was that I made new friends from all across the nation and world (Alaska, Switzerland, Hungary, New Jersey, Atlanta, etc.) And although I loved my Physiology course and the professor, I would have to say, heading off campus to explore Rhode Island was thrilling. What did you learn from the summer program? It changed how I look at colleges and I am now applying to some east coast schools. Not only did I study college-level physiology but I was able to try new activities such as yoga and Zumba. My physiology course extended beyond the human body to how everything in life is correlated and we discussed other topics such as politics as well. What would you tell other MMSF students interested in your program? It’s absolutely amazing and a great opportunity! At Brown, and Rhode Island specifically, be prepared for hot weather. Schools on the east coast are very different than California, but it’s a good experience to be independent and live far from home. It’s a great program with amazing professors and good college workshops.